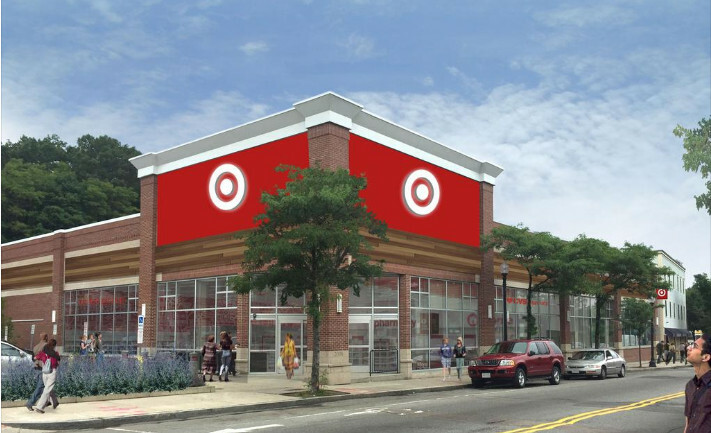 Yesterday, we sent a comment letter to the Zoning Board of Appeal (technically the “Boston Board of Appeal” under the statute) on a proposed development less than a block from Roslindale Square on Cummins Highway. The project is a 9-unit residential building with 12 off-street parking spaces. While we generally supported the requested zoning relief and appreciate the architectural design and walkability features like secure bicycle storage, we would also to see this and other projects do more to provide affordable units (none are promised here) as well as better support for walkability and enabling a car-free lifestyle. More details on this below. We hope many of you will agree with some if not all of the points made below. Either way, however, we’d love to hear your feedback in the comments. Picked up this graphic at a Jeff Speck session at CNU25. 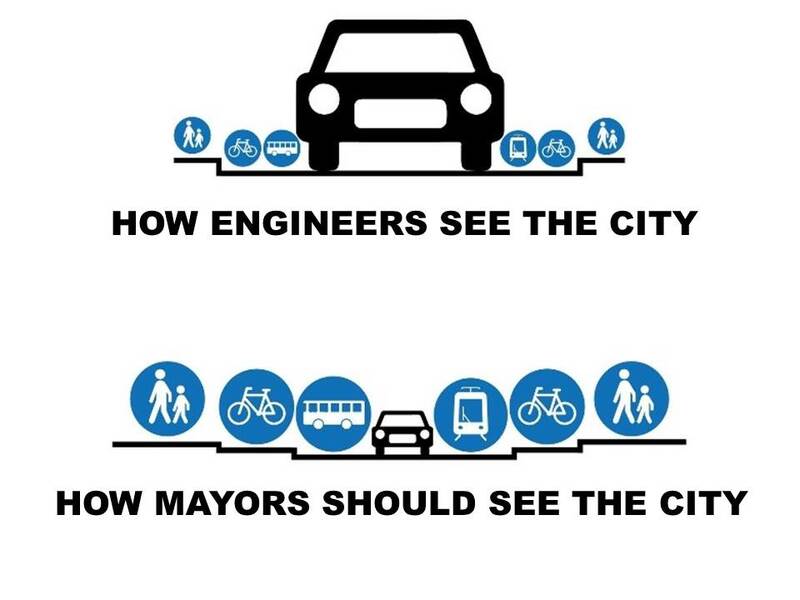 Abundantly true of a city like Boston, where it makes no sense that our mayor still isn’t fully behind appropriate funding for active mobility and Vision Zero, or applying, right now, political will to breaking down the institutional barriers that are holding us back. Here’s a link to the prior announcement: LINK. We will have a WalkUP Roslindale banner set up in the corner of the Arboretum down the hill from the Mendum Street Gate in the Peters Hill section of Roslindale. Hope to see you there!!! A couple of weeks back, a community meeting on a proposed 42-unit residential project at 43 Lochdale Road (off Washington Street, near Forest Hills) was postponed at the last minute. The meeting has just been rescheduled for Thursday, May 25, 2017, at 6:30pm at the Roslindale Community Center (6 Cummins Highway). You can take a look at the thoughts we shared back in April; in brief, while housing is desperately needed around Boston, especially near transit hubs like this location, we would very much like to see the developers of this project better consider walkability and transit access given the density and location of the project. More free parking necessarily means more cars and traffic; instead, we’d like to see investment in walking and bicycling infrastructure (as well as complementary amenities like Hubway and ZipCar), to make sure it is as easy as possible for residents to live car-free so close to the orange line. Please sure your thoughts in the comments here, and attend the community meeting on May 25!